The Yachts, Ploes and Explorer. The club owns two sea-going yachts - a Contessa 32 based in Lowestoft and a Bavaria 40 currently based in Turkey. Members can use these boats and make a contribution to Club funds. Ploes is based in Fethiye Turkey. She has 3 double cabins and a large saloon which makes for comfortable cruising. She has in-mast reefing and bow-thruster which makes handling easy. The cruising area is interesting with plenty of ports and anchorages within easy reach. Members are required to book via Peter Girven. Members are expected to leave the diesel tank full and replace any gas cylinders emptied during the stay. Ploes can also be used as a house boat . Full details and instructions are sent to members once a booking is confirmed. Explorer has been owned by the club since the early 90's. An ex-army boat, what she lacks in comforts she makes up in un-paralleled performance. She has made numerous trips across the North Sea and to Scotland. Her slab reef is easy to use and she makes fast comfortable passages. 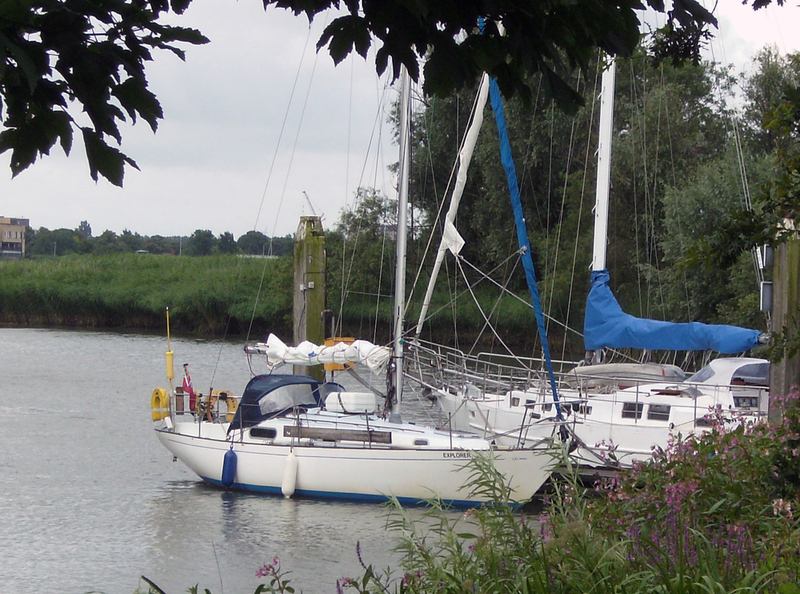 In recent years she has been based in Suffolk Yacht Harbour on the river Orwell offering a huge range of sailing options to match all weather conditions. Explorer is available to members for whole weeks or for day sailing (only bookable 2 weeks in advance), Bookings are via James Parnell or Peter Girven. Members can use the boats at reasonable rates. Only accredited skippers may take charge of the boats. Weekly for sailing at £1300. Weekly as a houseboat £150 (but this will only be confirmed four weeks in advance). A damage deposit of £500 may be required for the use of 'Ploes'. Weekdays £70 per day, Weekends £80 per day, Weekly £485, Trials £35 per day. A damage deposit of £250 may be required for the use of 'Explorer'.